“Hardening” schools against shootings is growing into a multibillion-dollar business in the U.S., but there are questions about what kinds of security measures and technology actually work. 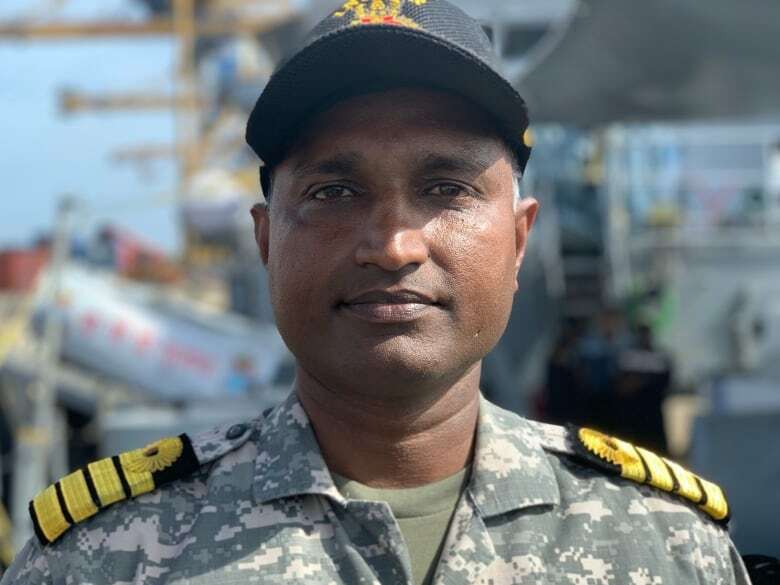 An Indian Navy captain believes it was his destiny to help people in Mozambique after the destruction and floods caused by the cyclone. The steady drip of leaked information connected to the SNC-Lavalin affair and former Attorney General is adding to an already messy situation in Ottawa. Fifty-six people died in school shootings in the United States in 2018, the deadliest year on record. And since American politicians have yet to find a body count high enough to break their stalemate on gun control, many communities are focusing their efforts on trying to make schools safer via armed guards and high-tech security measures. In the immediate aftermath of the February 2018 Parkland, Fla., massacre that saw 17 staff and students murdered, the U.S. Congress earmarked $350 million US over a decade to help “harden” the nation’s schools. State governments pledged at least a half-billion more, and at the local level, school districts announced over $900 million in new security measures in just six months. That’s in addition to the $2.7 billion a year that the American education sector was already spending on security equipment and services, according to one widely cited market analysis. In the two decades since the Columbine High School shooting, the vast majority of the country’s 122,000 public and private elementary and secondary schools have taken the simple precautions of installing video surveillance cameras, and buzzer locks on entrance doors. Now the race is on to make campuses more like airports or prisons, with metal detectors, facial recognition technology, and systems that can put a whole school into lockdown at the push of a button. School safety measures now on the market run the gamut from bulletproof backpacks — available for $147 at Home Depot — to $2,900 anti-ballistic whiteboards and $4,000 armoured, high-tech classroom doors. An Israeli firm has just begun marketing panic buttons to U.S. schools and synagogues, claiming that the shooting-specific alarms, which stream audio and video, will bring help sooner. The starter pack comes with 10 buttons and a smartphone app and retails for $10,000. The Partner Alliance for Safer Schools, a security industry-funded non-profit, estimates that adding basic safety enhancements to America’s high schools, like lockdown systems and video surveillance storage, will cost a total of about $10 billion. The higher-end options like licence plate monitoring and bullet-proof glass would run $36 billion nationally. Although students themselves are now coming up with cheaper MacGyver-style solutions. This year’s Samsung Solve for Tomorrow contest, in which students use science, technology, engineering and math to tackle community issues, has two finalists that have designed better ways to barricade classroom doors. High school students from Owensville, Mo. — population 2,600 — have come up with a simple, three-piece lock that shooters can’t blow away from the outside. The kids from Richland Two Institute of Innovation in Columbia, S.C., are pitching this system that will lock a door and drop a shade over it via remote control. The open question is whether these kinds of measures actually work. A 2013 study by the U.S. Congressional Research Service concluded that there is limited evidence about whether armed “school resource officers” make a difference. And an analysis by the FBI of 250 “active shooter” incidents between 2000 and 2017 found only seven occasions where a gun-toting civilian stopped an attack — in a country with an estimated 400 million legal firearms. 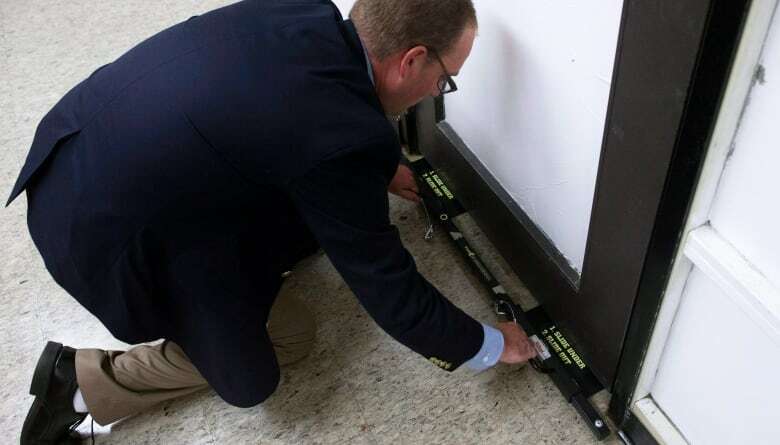 A 2016 U.S. department of Justice report found “limited and conflicting evidence” on the short- and long-term effectiveness of higher-tech school security measures. Last fall, the Washington Post surveyed the then 79 U.S. schools that had experience a shooting since the 2012 Sandy Hook massacre. Asked if anything could have made a difference, only one of the 34 responding institutions said better safety technology. And it’s possible that some of society’s efforts to protect school children might be putting them in greater danger. 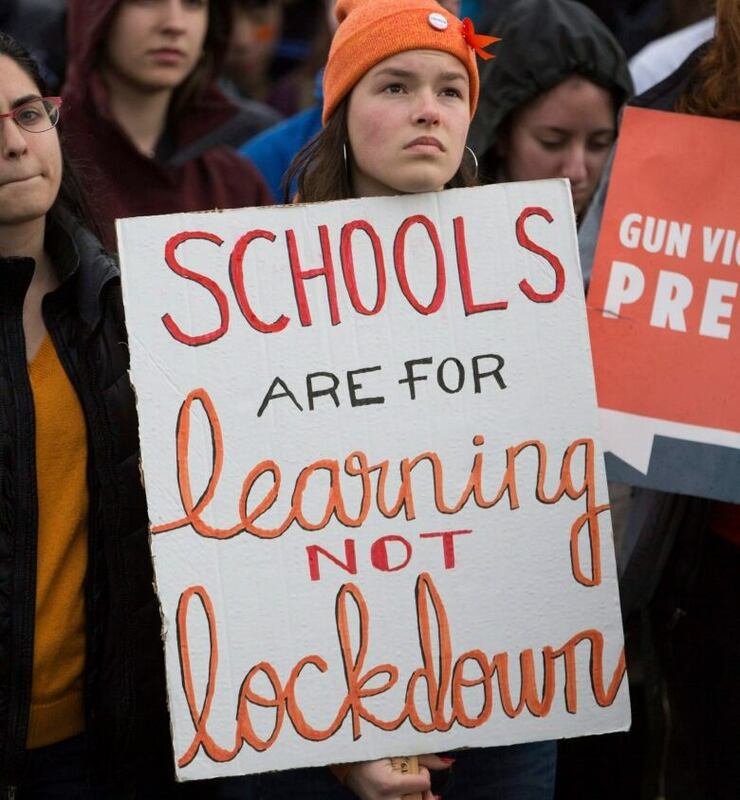 This week, two Minnesota researchers released a school shooting study that calls into question the widespread practice of lockdown drills. They conclude the drills not only traumatize kids, but provide a “blueprint” for future shootings, since more than 90 per cent of assailants are current or former students of the schools they attack. Last year, more than 4 million U.S. children experienced a real lockdown due to reports of gun activity at or near their schools. Foreign correspondent Nahlah Ayed, producer Stephanie Jenzer and videographer/editor Richard Devey are in Mozambique covering the aftermath of Cyclone Idai. It just so happens that among the first international responders after Cyclone Idai hit Mozambique were members of the Indian Navy. Their leader, Captain Varun Singh, believes it was his destiny to help after the destruction and floods caused by the cyclone. He and his men were on a training mission in the Indian Ocean when they were diverted to the port of Beira to lend a hand after the storm. They were some of the first to rush to the devastated Buzi area for search and rescue. Over a period of four days, they saved some 200 lives. Captain Singh showed us his bucket list. One of his wishes: to save 200 lives. “Oh I completely believe in destiny,” he told us. Now his men make the long boat trip from the port in Beira to Buzi twice a day, bringing aid and supplies donated by the Indian people. We tagged along, and we’ll tell you more of their story — and Buzi’s — tonight. Also tonight, Adrienne Arsenault explores the question: Can you stop a hurricane? The steady drip of leaked information connected to the SNC-Lavalin affair and former Attorney General is adding to an already messy situation in Ottawa, writes The National co-host Rosemary Barton. 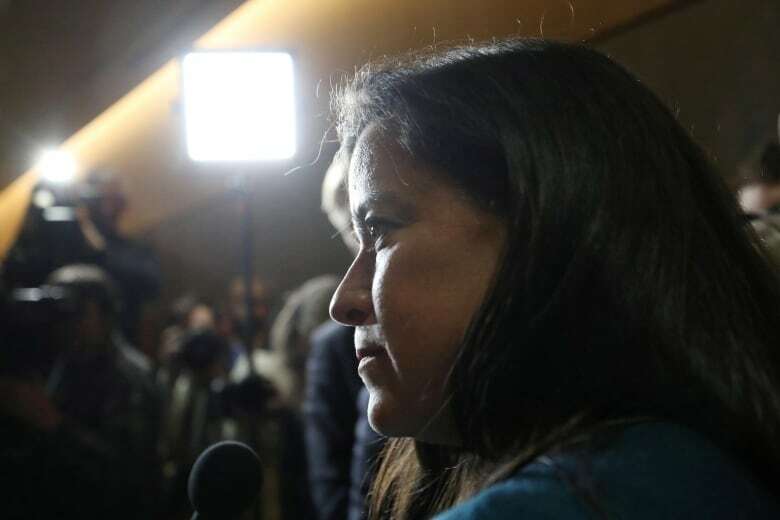 Jody Wilson-Raybould has now submitted documents to the Justice Committee to further attempt to document her side of the story on the SNC-Lavalin affair. Her side, to remind you, is that she was subjected to undue pressure from inside the Prime Minister’s Office to give the company a deferred prosecution agreement. The PMO says it never happened, and the Justice Committee says “following the testimony of all witnesses, we believe that all the rules and laws were followed,” but Wilson-Raybould maintains that she felt harassed. Presumably whatever she has sent to the committee has to somehow provide evidence of that. But it seems difficult to imagine that anything might change the story at this point. Those who believe the former Justice Minister will continue to believe her. Those who believe she was asked to consider the deal as a normal function of an ongoing public policy discussion will continue to accept that side of the story. As we wait for the documents to be translated and made public Friday, other stories are being leaked to the media about the former AG. The PMO says the leaks do not come from them. Nor do they come from Wilson-Raybould, according to her, and she says she supports an investigation into their source. A reminder that this all began with a story on Feb. 7 in The Globe and Mail. The issue has since claimed two cabinet ministers, a principal secretary and a privy council clerk, not to mention the significant damage to the Prime Minister’s own brand, as a series of polls have suggested. The messiness of this story continues without anyone seeming willing to end it. Try as the government might. Joining me on At Issue tonight to discuss the latest developments are Chantal Hébert, Andrew Coyne and Althia Raj. 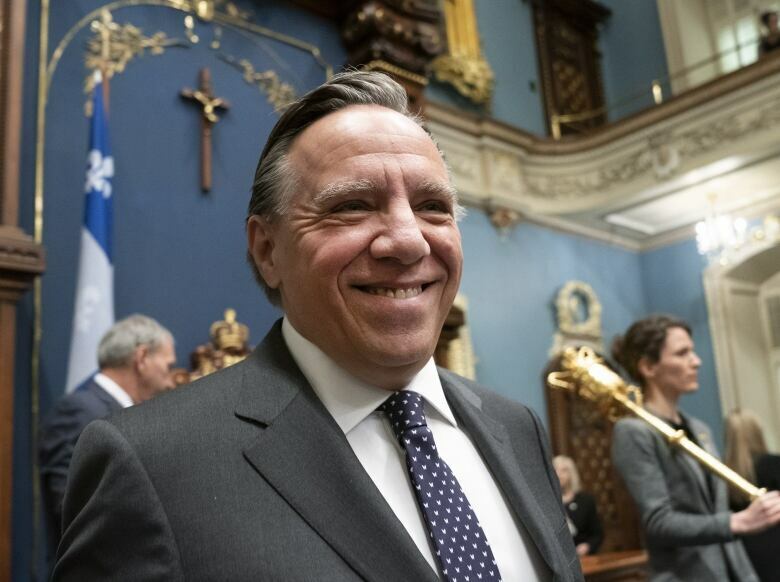 – Premier François Legault on a newly tabled bill that will prohibit public workers in positions of authority from wearing religious symbols, and will likely require him to invoke the notwithstanding clause to escape a Charter challenge. Jean Chrétien and his business partners bought the Grand-Mère hotel and golf course in his hometown of Shawinigan in 1988, when he was out of politics. But the issue became what he did once he became Prime Minister in 1993 and decided to sell. Chrétien was accused of improperly lobbying on behalf of the new owner by calling the head of the federally owned Business Development Bank of Canada and pushing them to grant a loan. As the details trickled out — Chrétien wasn’t paid until 1999 — the opposition complained that it was a conflict of interest, and the press went to town. But the “Shawinigate” story never really seemed to capture the public imagination.